Well, we're into April now, and I... feel like I’ve had a weirdly productive year so far. Far from wondering where the time has gone, I’ve been checking in with myself at the start of each month and realising how much I’ve got done. I posted back in January about a few of my goals for the year – so I thought it was about time I looked at how that’s going! By the end of last year, I felt like I hardly read anything – but I resolved this year to read more, including some more non-fiction on adulting. So far, I’ve managed to read four and a half fiction books and one and a half non-fictions – which might not sound like much, but honestly, it’s way more than I’d read by this point last year, so I’m very happy with how this one is going! I set myself this deadline and it was looking a bit hazy by the end of January, where I’d only made it to 57,000 words (of my rough goal of 75,000). I managed to smash out the last 17,000-odd words, finish the first draft, and send it off to my agent on Valentine’s Day, though! I'm so happy to be able to tick this one off the list. I love a deadline. I really do. 4. Get back into the blogging game! I said I wanted to blog more, after months of near-radio silence, and I’d say I haven’t done too badly on this one! 21 blogs uploaded so far this year, including this one, and more in the pipeline. This has been a bit of a tough one to keep. Not only is it hard to find a weekend where we’re all free to meet up, and work out travel plans, but I’ve had three different book projects I’ve been working on already this year, plus several visits home or from my sister. Seeing my friends was something I was always going to do anyway, but adding it to this list has just made me a little more determined to persevere with making a plan that works for both/all of us. All in all, I don’t think I’ve been doing too badly! 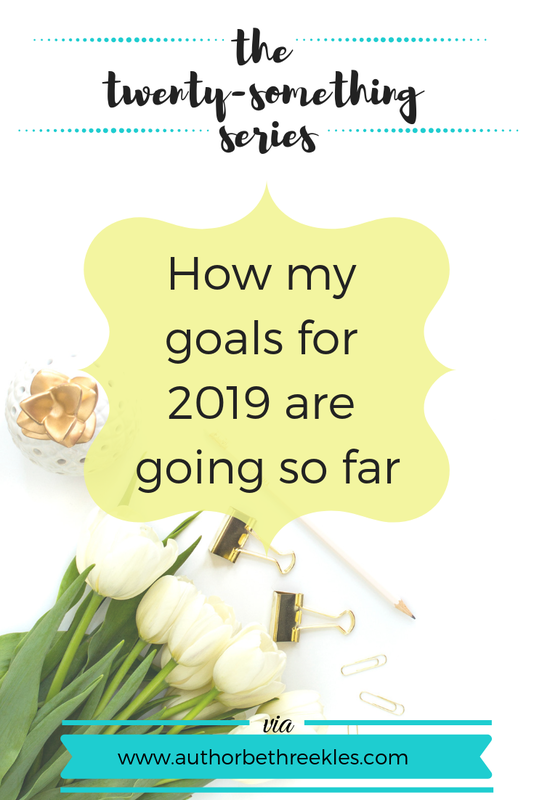 And given that these have all been going pretty well so far – or I’ve even managed to check them off completely – I wanted to share a couple more goals I have for the rest of the year. I’m wary of saying too much about this one (other than that no, before anyone asks, it is NOTHING TO DO WITH THE KISSING BOOTH) – but I have an idea of where I want it to go, and I already have the first couple of chapters sketched out in my head. I’ve been putting off starting it while I’m on deadlines for editing, but hoping to have some space to get started very soon! I’d love to finish a first draft this year. I've also got another book I want to start work on. Ideally, I'll also finish that this year, but I don't want to push myself too hard on this front. Counting this, I'll be working on six different books this year. So no pressure, haha! I’ve done one panel and one school talk so far this year, and would love to do some more of these… They're just such a great opportunity and a lot of fun. I can't take time off work to do them often, but I'm hoping to do more over Skype to compensate for that. If you’d be interested in having me along for an event/panel/similar, I have more info on my Work With Me page. 8. And finally for this post... BUDGET! 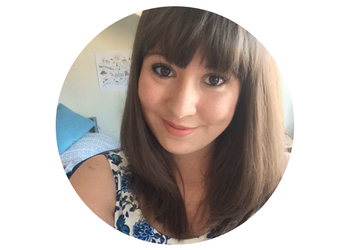 I have plenty of other goals for myself (from 'cooking something new' to 'learning all the songs from The Greatest Showman perfectly on my flute') but I only wanted to talk about a few of them on here - and especially the more bookish and career-focused ones! I'll probably post again in a couple of months as another check-in on how these are all going - but in the meantime, wish me luck! Also, I'd love to hear how your resolutions from the New Year are going, or if you've met any of your personal goals already! Let me know in the comments, or Tweet me @Reekles.